Tig welded in the USA using superior metals. Our Powder Coated first class metals ensures durability and equally long-lasting finish. Designs of Distinction’s® new Urban Collection is sleek and contemporary and embodies the clean styles of Metropolitan Design. The Apex Industrial Leg was designed with 1950s Industrial style furniture in mind. 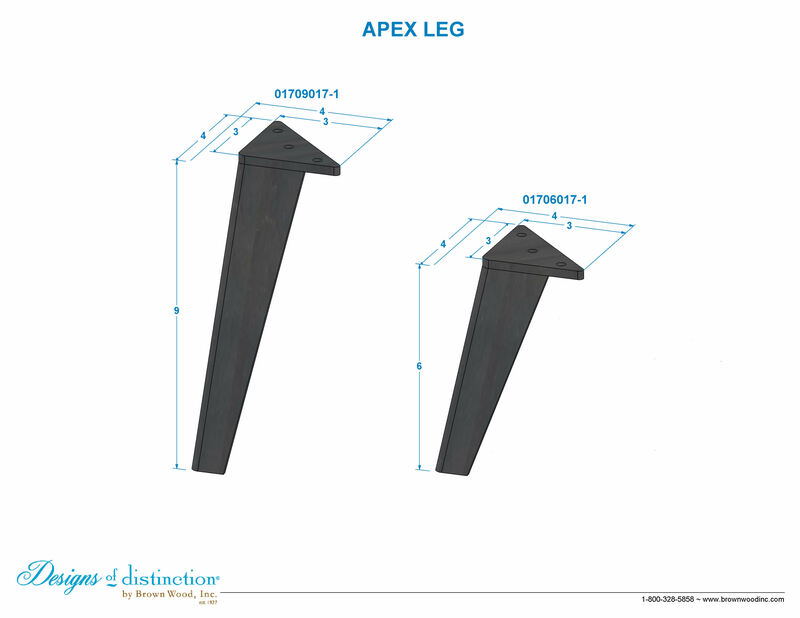 The Apex Industrial Tri-Leg has a 5.875″ top plate and comes in 5 powder coated finishes (Gold, Satin Nickel, Grey, Raw Steel, and Wrought Iron). Find matching components in the Urban Collection.